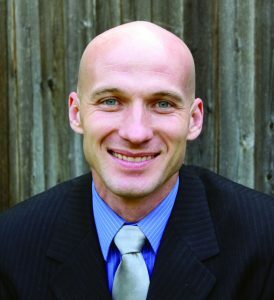 Trevor, the founder and owner of Rocky Mountain Health and Wellness, graduated from Weber State University with a degree in Child and Family Studies and Psychology. Trevor has earned his Certified Family Life Educator (CFLE) certificate from the National Council on Family Relations (NCFR). He also has earned his Crossinology Brain Integration Certificate from the Learning Enhancement Institute. Trevor is the author of the #1 best-selling book, The 14 Laws of Happily Ever After; the secret to a satisfying marriage. Trevor has developed his own theory of change called the “Circle of Change,” which he believes is one of the keys to his own success – as well as the success of his clients. Trevor has overcome many obstacles in his life. During his 7th grade year, at age 13, he was diagnosed with a severe learning disability called Dyslexia. He was reading on a 3rd grade reading level equivalent of an average 8-9 year old. Academically he was struggling, and turned to humor to hide his inabilities to succeed academically. Trevor was described by others as dumb, stupid, lazy, and a class clown. His Dyslexia not only affected is ability to read, but also his ability to spell and remember. His future seemed doomed. College seemed out of the question, and there was little hope of getting a good paying job with only a high school diploma. Today, Trevor has successfully learned how to become proficient at reading, spelling and memorization. Trevor has been described by others as intelligent, amazing, powerful, kind, humble, and full of integrity. Trevor speaks two languages and owns two businesses. He graduated from college with a 3.5 GPA (compared to his high school 1.9 GPA). Brain Integration and the “Circle of Change” have allowed Trevor to create success and abundance in every discipline of life. Back to School? Or Back to Stress?